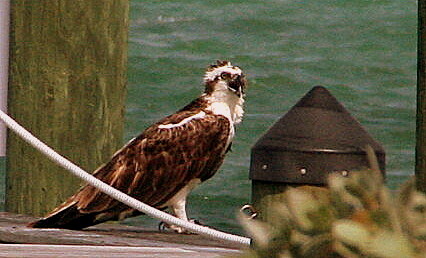 Wind was wild on the Bay-side today, so Wayne and I went trolling Ocean-side. 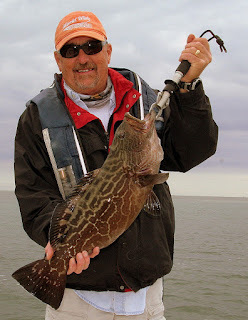 Picked up a few jacks and had some barracudas follow and not bite, but this grouper was the fish of the day. Fish was a keeper, but the season is now closed, so it went back in the water to swim another day. An osprey has been perching in one of the coconut trees that overlooks our boat basin. Today, for the second time, it came out of the tree, grabbed a fish [probably a mullet] out of the basin, and took off for parts unknown. 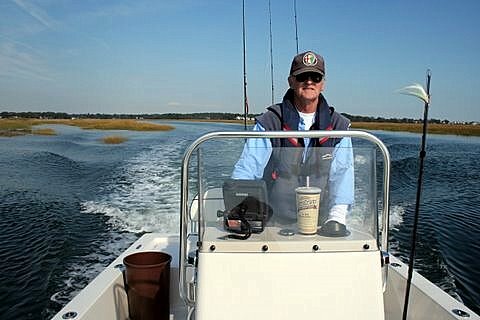 All the lunkheads are not on Long Island Sound. 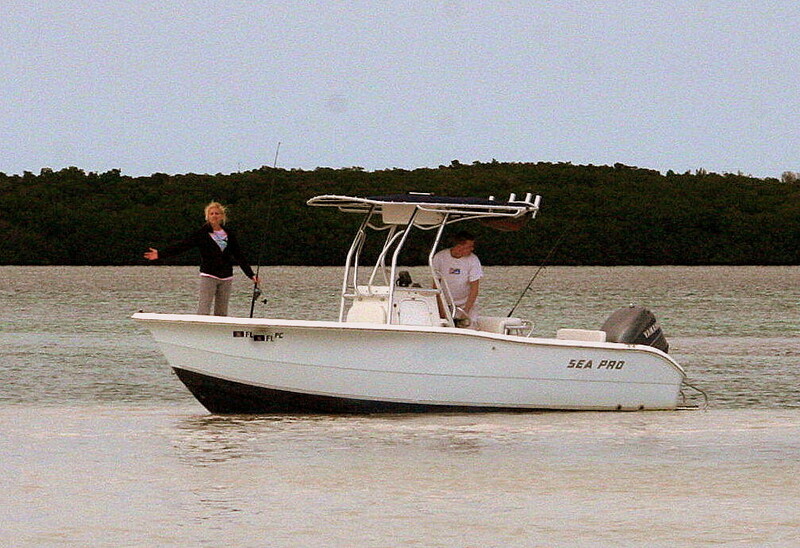 This couple apparently rented a boat and had no clue about operating it in the Keys. As you can see, they'd gotten stuck in shallow water and had churned up the bottom trying to get out of there. 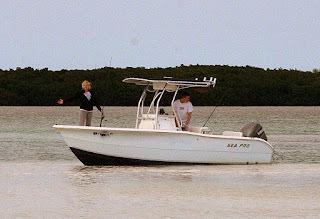 On top of it all they were in a no-motor zone [a protected bonefish flat, actually] and if any of the law enforcement boats had come along, they'd have been fined [note I've blurred their boat registration number on purpose]. We offered to pull them out of there if they had a long enough line [aka rope], which they didn't. So we yelled some instructions to them to get their motor up and they finally drifted off the flat. Two Coast Guard boats took off under Snake Creek bridge as Wayne and I headed back to the dock.